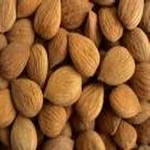 Sweet Almond is an excellent emollient and is known for its ability to soften and re-condition the skin. It is rich in proteins and Vitamin D, and is considered extremely nourishing Sweet Almond Oil is a fine, light, soothing and healing oil, affordable all purpose carrier oil to keep on hand. It has excellent penetrating properties and is beneficial to the skin regardless of skin type or age, it is particularly good for dry sensitive skins and can help relieve itchiness and swelling. Almond oil is completely odorless, and so is good for a base massage oil. Can be used on its own or blended with grape seed, jojoba or sunflower oils. Can be used 100% strength. Goes rancid quickly, use blend made with it quickly, some authorities says it keeps well because of Vitamin E content.